The big idea behind The West Wing Weekend is to tap into the engagement and invigoration of fans of The West Wing by providing an outlet for us to create, share, and encourage programs to explore the show, the characters, the themes, and the creators that have had such an impact on our lives. The event also aims to create a unique experience with fun and entertaining performances based on the characters and universe of the show and to use the theme of the show to model civic enthusiasm for the ideals of political and social engagement. The event is created for and by fans with no connection or affiliation to the show's creators, NBC, Warner Brothers or any political party. 1. Celebrate The West Wing television show and its creators, actors, crew, and fans. 2. Provide an outlet for academic and fandom related panels, presentations, and workshops centered around the show. 4. Engage people in the political process with events, panels, and programming that encourages that engagement. 5. Allow for a free exchange of ideas and events that could create a greater sense of unity and engagement between the people who attend. Clay Dockery will serve as the Head Organizer, Treasurer, and Logistics Director of The West Wing Weekend. He has been organizing events and conventions to engage multiple fandoms for several years. He is the co-Head Organizer of the successful Harry Potter convention, MISTI-Con, which has been held in 2013, 2015, and 2017 (and will be held again in 2019). He has also co-organized Coal Hill Convention (a Doctor Who convention), co-editor of Why I Geek: An Anthology of Fandom Origin Stories and is the treasurer of Coal Hill, Inc. a non-profit dedicated to engaging fans and fan experiences. He is also a supreme West Wing fan who self identifies as a perfectly eccentric and gruff mixture of Jed and Toby. Claire Handscombe will serve as the Outreach Director for The West Wing Weekend. She is the editor of Walk with Us: How the West Wing Changed Our Lives an anthology of quotes and essays in which fans of the West Wing tell their stories of how the show impacted their lives. Cat Smith will serve as Creative Director for the event. Cat is a fixture on the convention scene as a performer, singer, and guest interviewer. She is also a dedicated West Wing fan. This event will be a full weekend event lasting from Friday morning until Sunday evening. From 9am until 6pm there will be formal programming including panels, presentations, and workshops which will explore the world of the show and its creators. Each evening starting at 7pm there will be fun performance based special events for people to see the show in a different light, and other fun activities. Weekend registrations will include access to all panels and performances unless there is a meal in which case there will be an additional charge to cover the food costs for the event. The financial documents for the event will be made available to the public upon request. The costs to put on the event a flat fee for hotel space, a food and beverage minimum required by the hotel, a guaranteed minimum number of room nights at the hotel from WWW attendees, rooms and performance fees for special guests, as well as marketing, logistical equipment and decorations. The event is currently limited to 500 attendees maximum. To honor the show, there will be several unique fan created performances over the course of the weekend. Each performance is intended to evoke the look and feel of the actual show, while also engaging our attendees and current climate in what we hope would be a very special way. We are honored to have a group of talent actors, improvisationists, and other performers to help create and present this programming (though we also would love to additional ideas and input from anyone who is willing and interested). 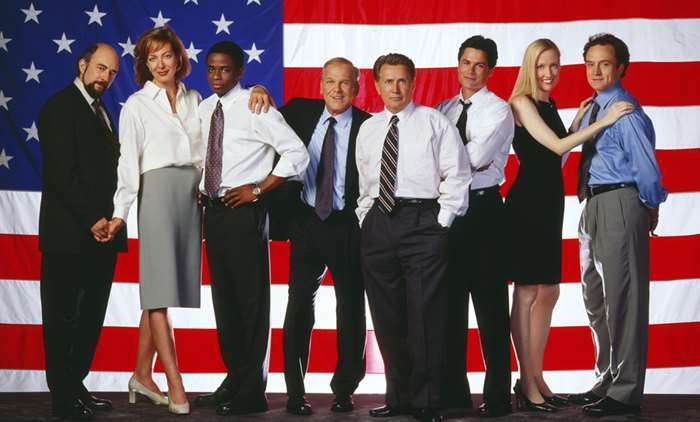 The West Wing has long been considered one of the greatest civics lessons in culture. We want to embrace those ideals and the spirit of engagement that the show evokes. We want to bring in figures who are active in areas of political, non-profit, and social engagement and use that as a springboard for conversations and action. We also think it is fundamentally important to celebrate the roles of women, the LGBTQIA+ community, and people of color in activism and engagement, it would be a vital part of the process to include as many voices as possible and to be a place those voices can be heard. Like the show we envision the event as having many things to say from all sides of the political spectrum but in an engaged and open way that is engaging and enriching and upholds the ideals we hold true.